Jason teaches a broad range of classes that orient around the concept of contemporary dance. 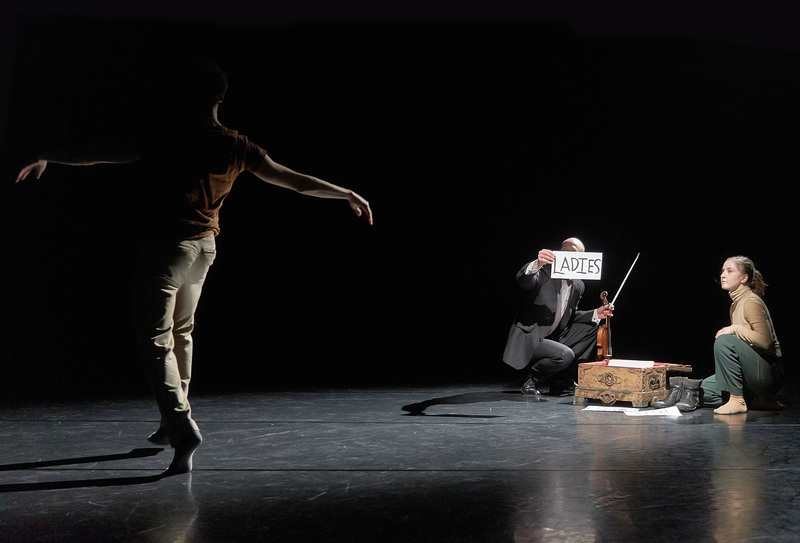 He incorporates technical elements to build strength, stamina and a relation to form while also challenging the participant’s personal connection to movement through layered approaches to improvisation. Jason’s class has been influenced by his professional experience performing and creating work with choreographers as diverse as George Balanchine and Hofesh Shechter, as well as his practical and theoretical exploration as a Masters student of Contemporary Dance Pedagogy at the HfMDK in Frankfurt. Jason emphasizes a holistic approach to the totality of the body’s structural form, a playfulness with timing, and an ease and suppleness in order to approach dynamic changes in movement quality. A typical class begins with encouraging the dancer to release tension and connect the weight of the body with the floor. The participant is guided by diverse approaches to improvised movement. Visualization is employed as a tool to stimulate the participant’s imagination and to encourage new perspectives on movement and “physical knowledge”. The class incorporates exercises on all levels including the floor, standing, moving through space, and in the air. For each class a specific aim or theme directs the build-up of tasks and exercises, connecting the physical experience. Examples of these themes include spatial awareness, use of the center in relation to extremities, agility, flexibility of the imagination, and response to impulses such as touch, the visual field, and internal sensations. Jason includes reference to diverse “materials” in his class. These materials include philosophical, theoretical or scientific texts, digital dance publications, computer programs, music compositions, film and other related medium. By incorporating the materials in a dance setting, his aim is to cultivate a physical discourse, to find already existing similarities and trigger new perceptions between the embodied experience of dancing and other fields. His broader aim is to become and help others become better dancers, while advocating for the value of movement and the beneficial aspects of dancing experiences.